A rainbow-bright colour edition of an Enid Blyton classic, in a special paperback that you can’t buy anywhere else. Don’t just read it: see it. Feast your eyes on magnificent fantasy lands. Imagine moving house and finding an Enchanted Wood on your doorstep. Joe, Beth and Frannie just found one. 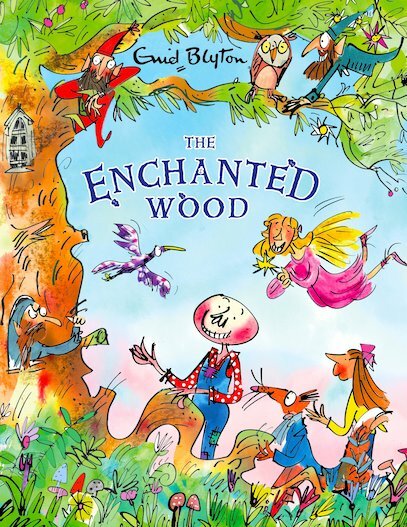 And in this wood is the Faraway Tree, which takes you into a magical land every time you climb it! There’s the Land of Birthdays, the Land of Toys and the Land of Do-As-You-Please. But talking about it will never capture the magic. You need to be there. Climb on up!